Courtney Mattison’s ceramic sculptures address environmental impact. 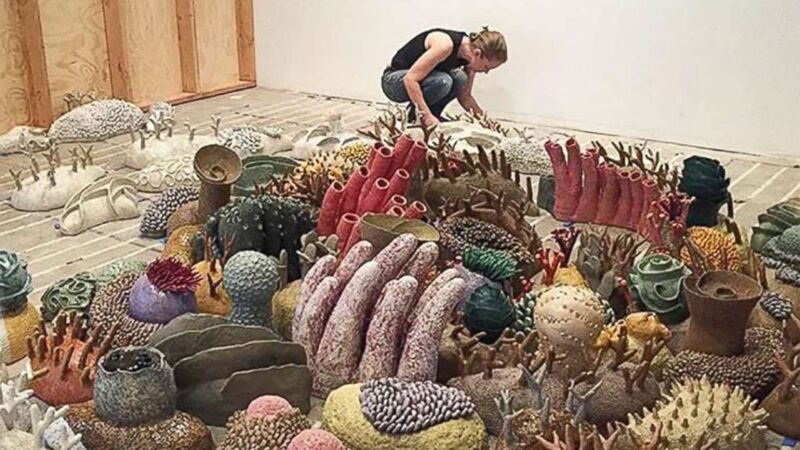 While the bottom of the ocean might seem far away, ocean conservationist and ceramic artist Courtney Mattison brings the beauty of coral reefs up close and personal in her giant ceramic sculptures. (Courtesy Courtney Mattison) Individual works by sculptor Courtney Mattison. 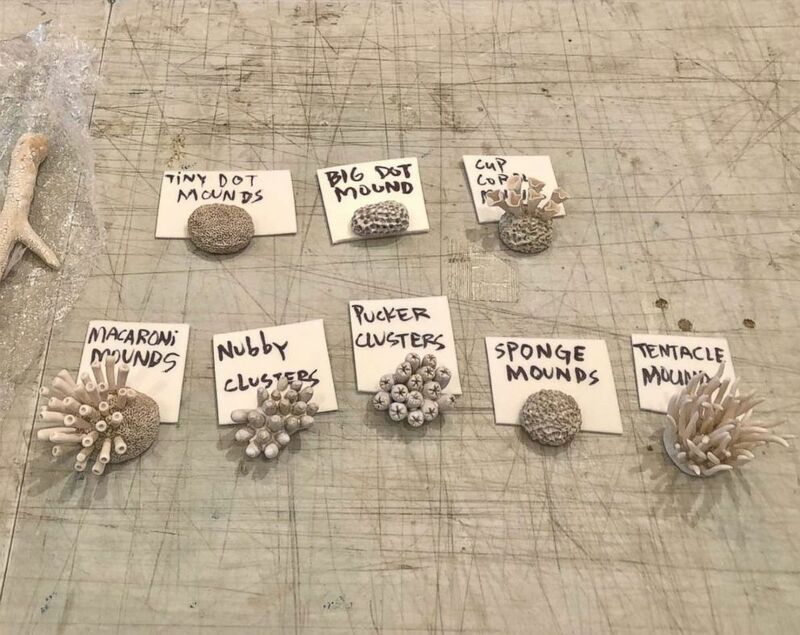 She uses everyday objects, such as chopsticks and paintbrushes, to add coral-like texture to clay, and then assembles many different individual pieces on the floor of her studio to create larger-than-life wall installations. “It’s sort of like a giant three-dimensional puzzle,” Mattison told "Good Morning America." (Courtesy Courtney Mattison) Sculptor Courtney Mattison installs an exhibition of her work. Mattison has a background in marine conservation biology and coral reef ecology but works as an artist to connect people to the issues she cares about. I believe art has an enormous power to inspire people to protect the environment and to understand it in ways that are more personal. Scientists said significant, immediate action was required to "avoid sustainable damage" to the U.S. economy, environment and human health. What better way to honor Mother Earth than to tie the knot on Earth Day? Coral are highly sensitive to temperature changes and are at great risk due to global warming. 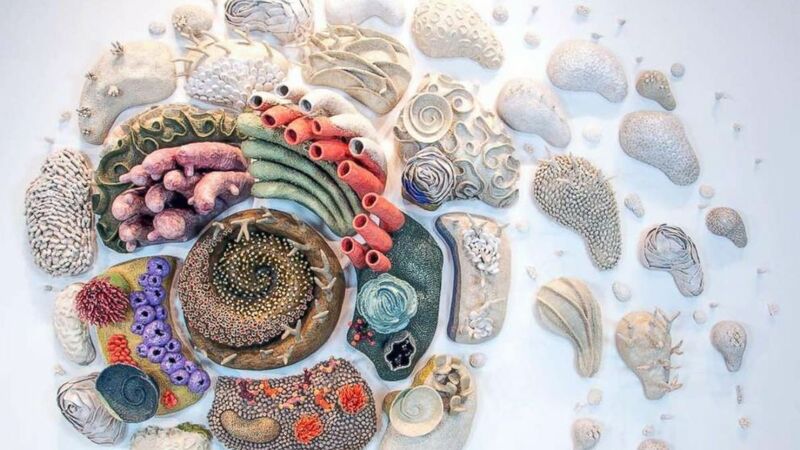 (Courtesy Courtney Mattison) "Afterglow (Our Changing Seas VI)" by sculptor Courtney Mattison. 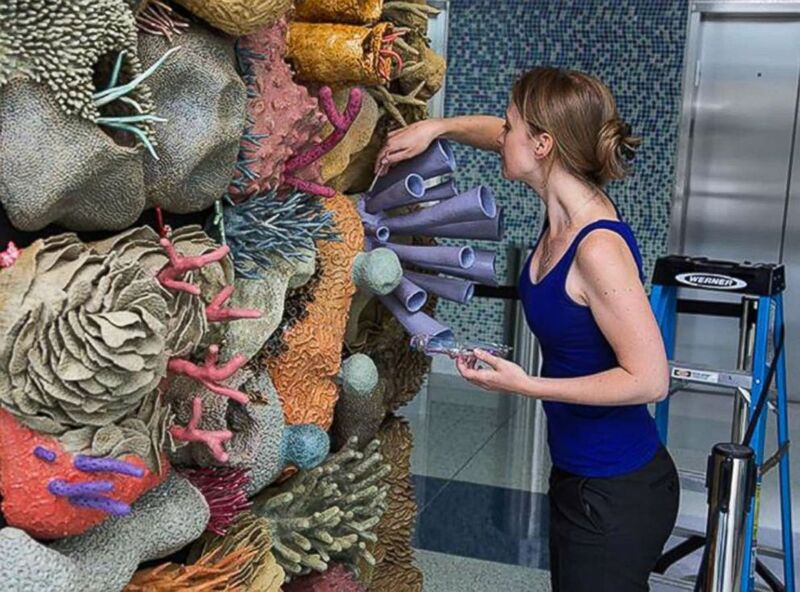 Mattison’s work displays healthy, vibrant corals in its center, but as the sculpture spirals out, the corals become dull and white. She said this represents what climate change is doing to the reefs through ocean warming, which bleaches the bright colorful corals white. Ocean warming is a direct result in the rise of greenhouse gas levels in our atmosphere and can be linked to human activity. And dying coral reefs impact a lot of ocean life. “Twenty-five percent of all species in the ocean rely on coral reefs to survive. They’re a really big deal and we all make an impact on protecting them,” said Mattison. But it's not necessarily cause for despair because there's still time to save these reefs. “Fighting climate change is possible and we all make a difference,” Mattison said.